One of the most wonderful things about our new apartment is that we have a back yard. Our very own little green space, which I find to be a huge comfort living in the city! We have planted a few flowers, some lemon grass and I was inspired to start a little kitchen window herb garden. 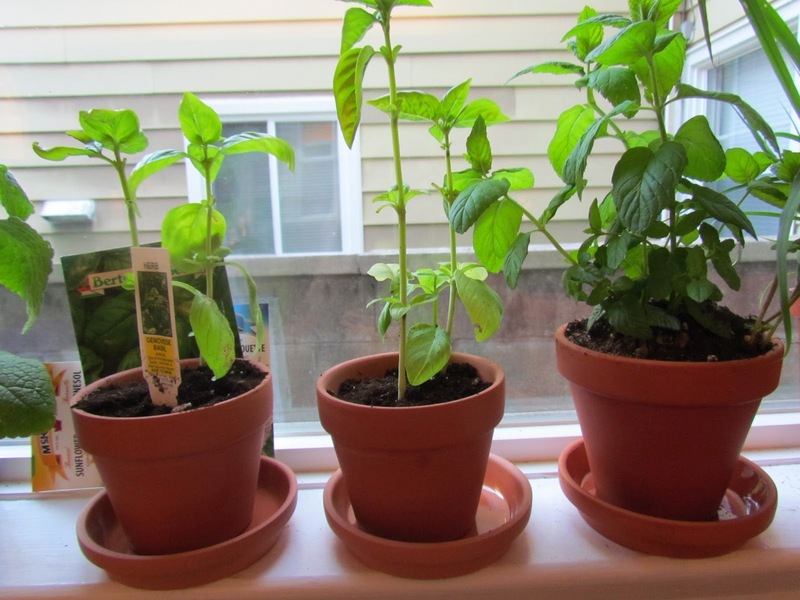 I am starting basic with basil and mint. 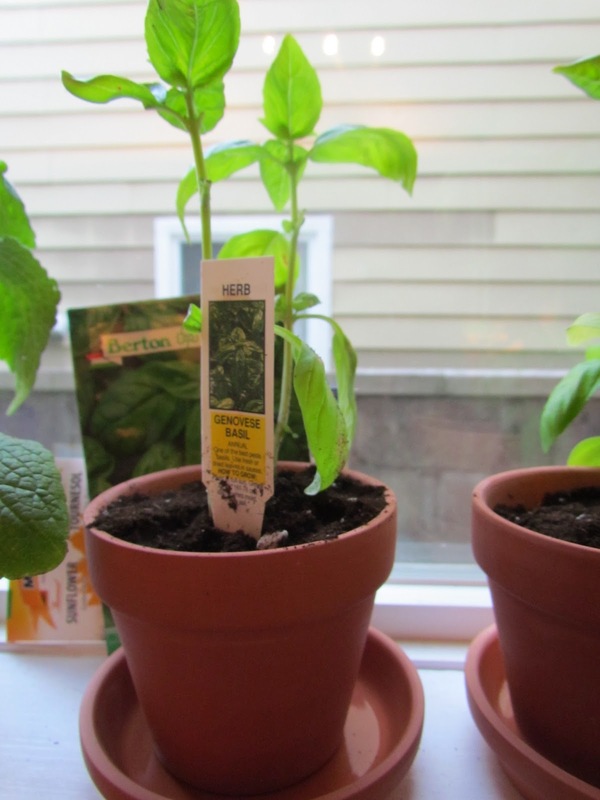 Having fresh mint on hand means mojitos all summer long! And fresh basil? Fresh basil means pestos and pastas and pizza! 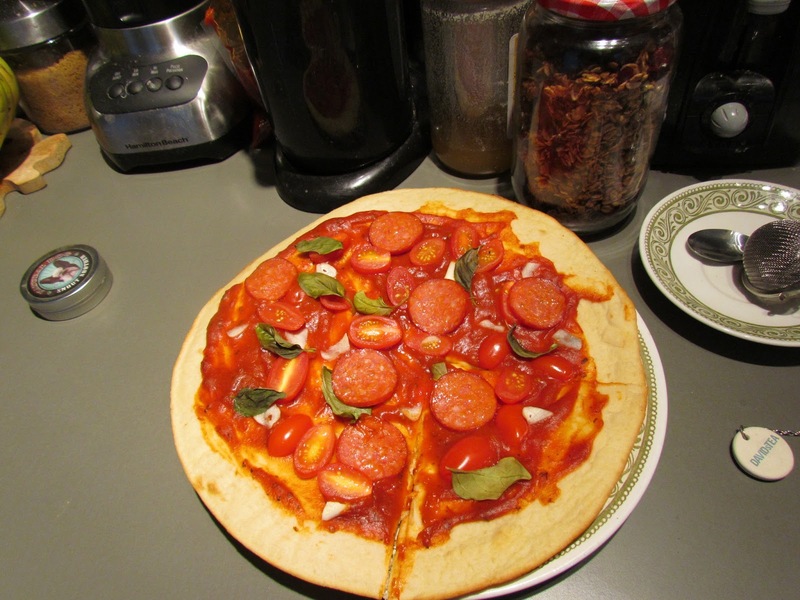 One of my favourite easy dinners is a homemade pizza. Now if you want to be all fancy and make your own pizza dough then I totally respect that. However, I often take the easy way out and buy the ready made pizza crust and sauce at the grocery store (thin crust only please and thank-you!) grab some toppings and within fifteen minutes you have a delicious dinner! Generally I go for the greasy pepperoni and cheese route (reminder I am not vegan, just allergic to dairy and eggs!) But last weekend when I hit up my local No Frills, they had no Daiya cheese! (Daiya cheese by the way is the absolute best vegan cheese on the market in my opinion). Not only was there none in stock, but it’s space on the shelf had been replaced by another brand of soy cheese. A brand of soy cheese that contains caseine. For the uninitiated caseine is a milk protein. Why, may I ask, would one buy soy cheese if one can/chooses to eat milk? Soy cheese with milk seems awfully redundant to me. So what was I to do? Take some inspiration from one of my favourite pizza places in the city, Pizza Libretto. Pizza Libretto has a delicious cheese free marinara pizza with basil and garlic. Who needs cheese? I chopped some garlic into very thin slices, pulled some basil off the basil plants, added my own touch of cherry tomatoes and pepperoni (again, not vegan, but very easy to omit the pepperoni!) and before I knew it I was eating my delicious creation. Maybe next time I will go the extra mile and make my own pizza crust! My new kitchen is inspiring me to try all sorts of new recipes, many more posts to come!